Pristine Home offers a whole range of cleaning services in the Camperdown area. Backed by more than a decade of experience in providing cleaning services for residential and commercial properties, we know the complexity involved in getting rid of dirt buildup and maintaining a smooth running home. Whether you require a one-off spring clean, or a regular weekly cleaning, we can accommodate your needs, as well as your schedule. If you have an immediate need for home cleaning, just book online and we will send professional cleaners to your place as early as the next day. Cleaning your home can be a physically demanding task that most of us would rather not do if we had the choice. Good thing Pristine Home provides domestic cleaning services in Camperdown area. Our professional cleaning staff can take care of vacuuming and mopping the floors, wiping dirty surfaces, and cleaning the kitchen and bathrooms. Moving out of a rented property? We can take over the vacate cleaning task to ensure that it meets your landlord’s cleaning requirements. Our cleaners have handled several vacate cleaning in the past and are familiar with agent’s cleaning checklist. We will leave the property organized and sanitized at the end of the scheduled cleaning. The rules for end of lease cleaning are strict: leave the property in the same condition when you signed the lease contract, and fix any changes you made with it before the final inspection. This is on top of packing your things and looking for a new place to rent. 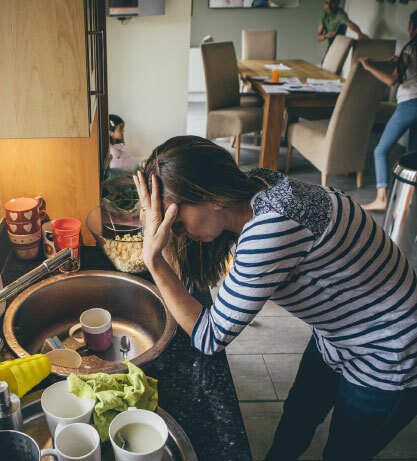 You already have a lot on your plate during this period so why worry about the cleaning? At Pristine Home, we specialize in end of lease cleaning in Camperdown area. Our cleaners know what it means to ‘broom clean’ a rented property, so you are assured that the cleaning will meet your landlord’s requirements. We are experts at providing apartment cleaning services to Camperdown residents. Our trusted cleaners use a careful system to detail-clean each of the room in your apartment to ensure that it will look sparkling clean at the end of every cleaning appointment. Spring marks the end of cold days and gloomy weather. Most of us have the urge to do a one-off clean at the beginning of spring to cut through winter’s clutter and give a new level of clean to the house. Our spring cleaning service includes a massive cleaning of living areas, kitchen, and bathrooms. Our cleaning technicians will pay special attention to cleaning every area of the house to leave it dirt-free and looking ready for springtime festivities. Many homeowners seek the help of our cleaning team to bring back the shine of their bathrooms. After all, a hygienic bathroom looks attractive and sinking into a clean bathtub at the end of a long day can make you feel revitalized. Our bathroom cleaning service includes cleaning mirrors, removing cobwebs, sanitizing showers and vanities, and steam cleaning bathroom tiles. Our move in and move out cleaning is ideal for tenants who are nearing the end of their tenancy. We know the stress that comes with moving home, which is why we aim to make the transition easier by providing an extensive home clean that is based on your agent’s cleaning requirements. 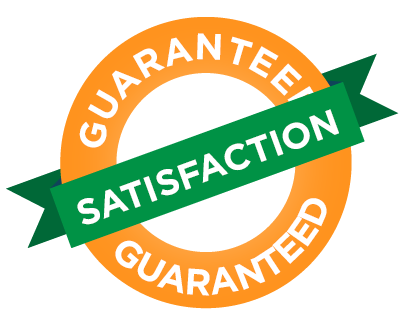 As part of our commitment to providing top-notch cleaning services, we offer you 100% satisfaction guarantee. So if you have any issues with the quality of our service, just let us know and we will resolve the issue, free of charge. Cleaning the house can be an uphill task for many homeowners, especially those who don’t have the luxury of time to do the cleaning by themselves. Most of us would rather be out in the sun on weekends or enjoying a quick dip on the pool rather than spending the majority of our free time cleaning the bathroom tiles or scrubbing the walls. If this sounds like you, then you definitely need professional home cleaners to get your leisure time back and still come home to a sparkling clean home. As a trusted provider of office and home cleaning services in the Camperdown area, Pristine Home cleaning technicians take extra care in cleaning every possible spot and surfaces in your home. Let us take over the cleaning, and we guarantee to meet your cleaning demands as early as the following day. 10 Yeas Experience: We’ve been operating in Camperdown and the surrounding suburbs for 10 years now! We believe that high-quality cleaning services should not be overpriced, which is why we set our pricing based on the current rates of other cleaning services in Camperdown. How’s that for value-for-money! How does our Camperdown home cleaning service work? Book your home or office cleaning in less than 60 seconds! Simply visit our website, book a cleaner, and review the quote that will appear. We take care of the rest for you. Our customers continue to give us great feedback for the reliability of our cleaning team and the quality of the cleaning services we deliver.